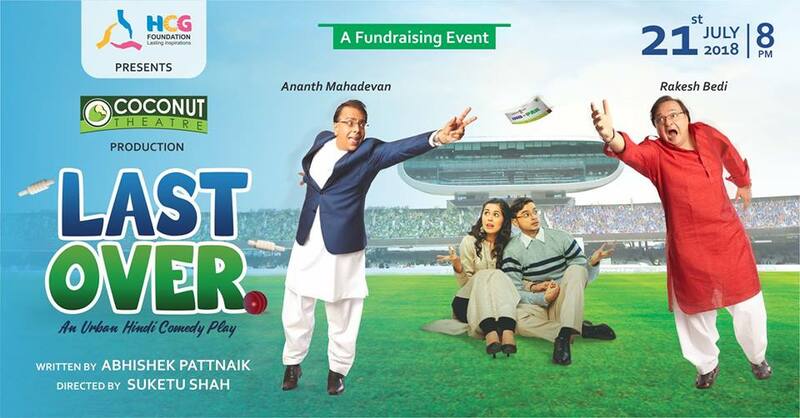 Last Over is an Urban Hindi Situational comedy play revolving around a young, newly married couple, Zubaina Kazmi from Pakistan and Sunny Arora from India, who are in charge of the catering service of the cricket world cup finals between India and Pakistan, which is to be held at the prestigious Lords stadium, London. If being from rival countries wasn’t enough, things become even worse for them when their fathers Nazir Kazmi and Jasjit Arora land up unannounced in their house in London. Being die hard cricket fans, they have only one wish: A ticket to the World Cup Finals. Unfortunately, all the tickets are sold out. Thus, begins the comedy of errors. In the process of attaining the ticket, the fathers end up making the lives of their children miserable. What lengths will the father’s go to in order to get that one dream ticket? Will they give their acceptance to a marriage, they were always against? Who will win THIS match? It’s a nail biting finish till the ‘Last Over’.